"Your Fork Lift Emergency Service"
Budget Forktrucks Ltd have been providing forklift service & preventative maintenance to our customers for over 31 years. 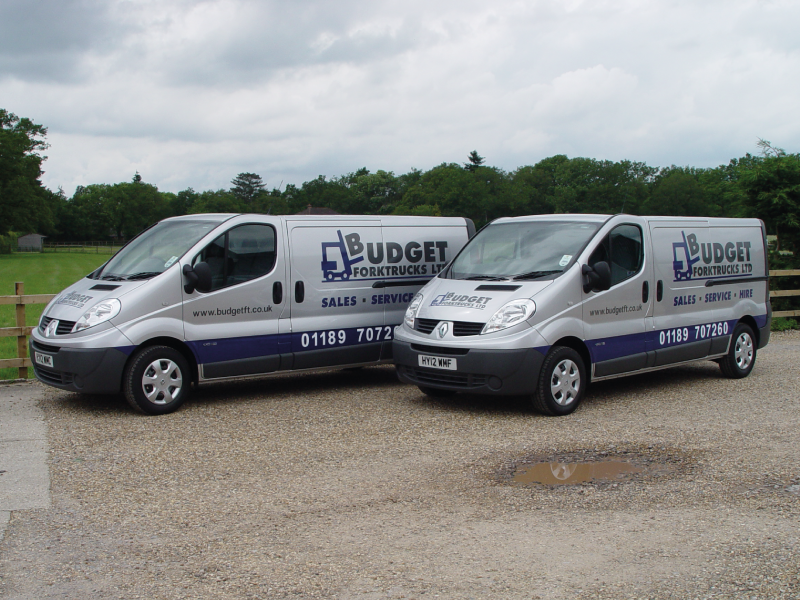 We have a fleet of fully equipped GPS tracked mobile service vans covering the whole of the South. 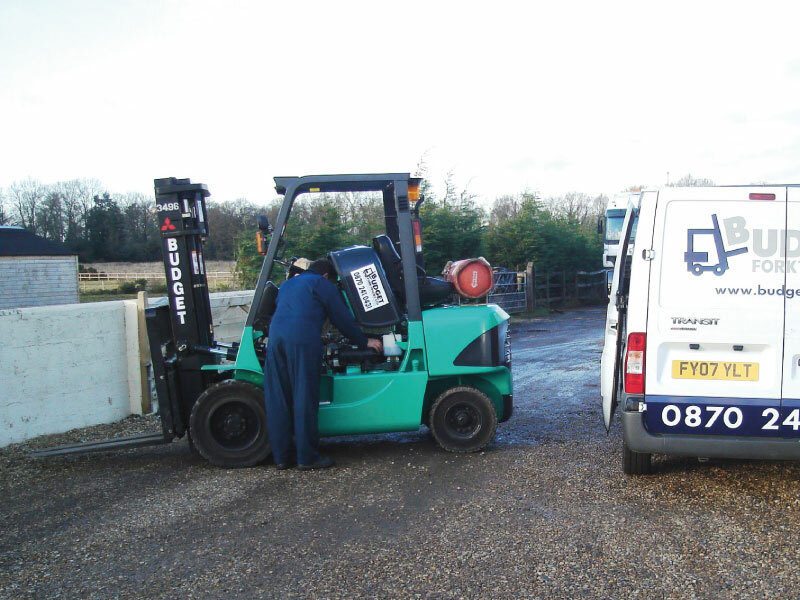 We have FLTA & CFTS Trained service engineers to carry out on-site forklift repairs & maintenance on all makes of forklift trucks. Budget engineers are Accredited LOLER/PUWER Inspectors to perform thorough examinations. We have excellent response times to Customer Breakdown’s to keep your downtime to a minimum. Our vans carry a wide range of parts and service kits for all makes of forklift trucks, with excellent support for same day and next day delivery of your parts from our experienced parts department with over 31 years in the forklift industry. We have a full range of new forklift truck parts in stock for all makes and models, and offer a comprehensive range of Service exchange parts to keep your costs down. Covering the entirety of the South, our mobile maintenance and repair engineers can reach any location thanks to our GPS tracked, repair and service-equipped fleet of vans. After booking in your service or repair appointment, one of our FLTA & CFTS trained service engineers will come to you. They are capable of covering all makes and models of forklift and forktruck (as well as many other warehouse vehicles) and are even accredited LOLER/PUWER inspectors, so your service will go into much more depth than other forklift servicing companies. Our vans and engineers carry every part, tool and replacement imaginable for all types of forklift, so we'll be able to get the job done on the spot. Even if your forklift needs additional forklift parts that aren't on the van, then we can get it to you the same day or the next day at the latest to prevent any more time from being lost. We understand just how tough it can get when your forklift isn't in operation, so we commit to speedy response times and even faster repair and service times to ensure your operations don't grind to a halt when the forklift service is due. Our dedicated customer service team members will handle your servicing package, and will organise engineer visits, parts delivery, repair schedules and anything else that you may need from us. 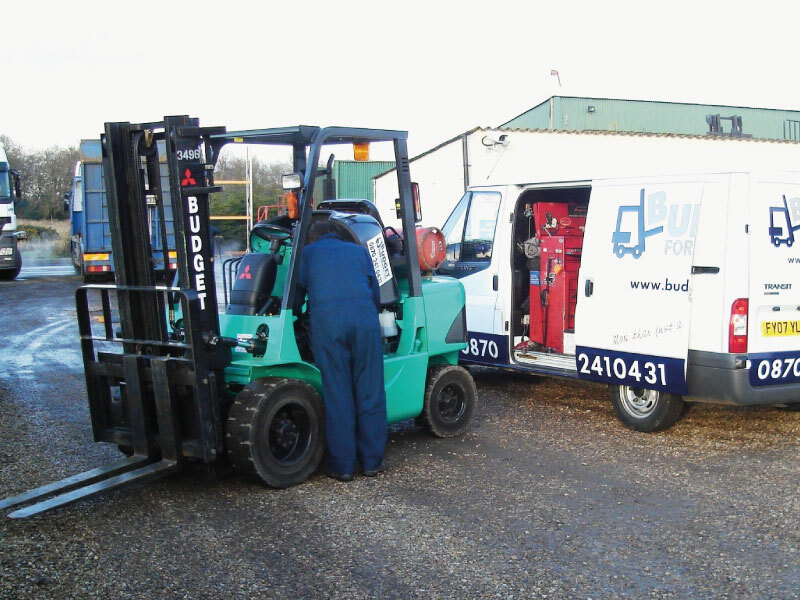 If you're looking for a trusted, experienced and dedicated forklift service company that understands your business, then let Budget Forklifts LTD do the hard work for you when it comes to forklift maintenance. How did you find Budget Forktrucks? We are one of the south’s leading providers of materials handling solutions. With a hire fleet of 450+ trucks we are able to cater for all your requirements from 1 day to 5 year hires with new & refurbished trucks always available for purchase with tailor made finance packages. Copyright © 2018 Budget Forktrucks 2018. Website design by Digital House.